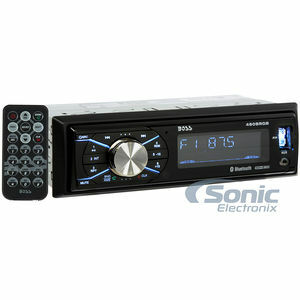 With the purchase of this receiver, you can save 50% on a universal 3.5mm auxiliary cable. This quality aux cable is 6 feet in length and is perfect for connecting portable music players to your stereo. Add a 3.5mm Auxiliary Audio Cable to Your Purchase! 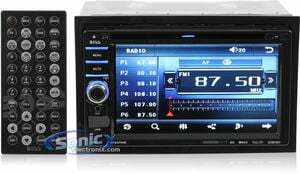 Add a universal 3.5mm auxiliary cable to your radio purchase. This quality aux cable is 6 feet in length and is perfect for connecting portable music players to your stereo. Add a universal 3.5mm auxiliary cable for FREE. This quality aux cable is 6 feet in length and is perfect for connecting portable music players to your stereo. Simply click the "Add Both to Cart" button. Use the Belva 3.5mm auxiliary cable to connect your smartphone, music player and other devices to any stereo with an auxiliary input. The cable is a total of 6 feet long and plugs into all standard 3.5mm headphone inputs. Decent quality cable. Does the job. Great product will totally recommend this product to anyone. Low cost but works pretty good. Works well in my car . great quality, would recommend to every one! I would recommend this Aux cable because of how affordable it is, and it works just fine. I saw similar aux cables going for $15 at my local target, so Im glad I only paid a fraction of the cost for Sonic's. An excellent valued buy for and easy to use accessory. 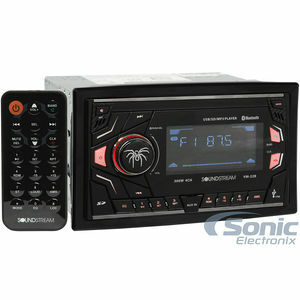 I would recommend this for anyone who has an iPod or Mp3 player and an aux port on their car stereo. 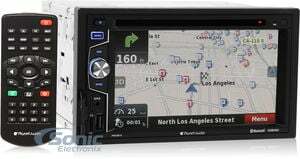 Allows you to listen to all your favorite music from you Ipod or Mp3 on the road. The cable seems really good. Its working great. 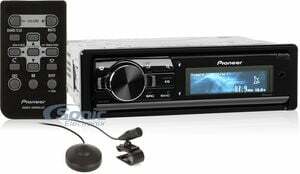 I bought this for my truck, it was cheap, easy to use, and improved sound quality. Good value for spent money. This product is well done no hums like other cables I bought and shipping was good and fast. I recommend this product and seller. It Works and the price was competitive. I was very pleased when I found this product for such a reasonable price. It has worked great, I've had it and been using it on a daily basis for over 30 days now and I haven't experienced any issues at all. 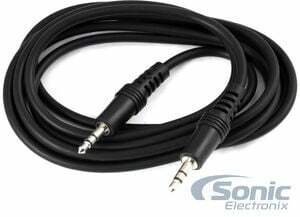 Usually by this time these AUX cords start to short out but this one is very durable. It is also really long so I can use it for all of my needs. Not to mention the awesome customer service and speedy delivery. I am a Sonic customer for life. Great cable, recommended to connect iPad to your car audio devices. Very reasonable price while the product is perfect. Will definitely buy from this seller again. This aux cord is really awesome because i have a honda accord 1994 and just plugged it in my radio and works, its not a rip off, or knock off. The cord is black (duh) and it is well made. The cord is strong and wont break, and has great length on it to reach anywhere. Very nice! Arrived very fast and works really well without any issues! Works just great. I only have an issue with the fact it is not gold plated. Because it isn't, it fuzzes out each time the plug in area is moved or turned. Other than that, it works just fine. Not much to it it does its job. 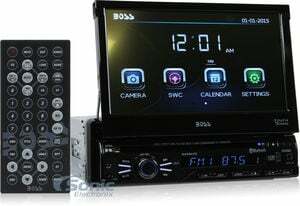 The one I received was 3 feet but Sonic contacted me before the chord shipped; 3 feet is better for me because I put my zune in the space under the new head unit. I've purchased many "cheap" aux cables for my iPhone, they usually end up malfunctioning after a while. I decided to spend a little more money for hopefully a better product. Aux cable that was purchased is still working, but i already have to loop it and place it and keep it a certain way or else the full sound does not come through. This product works great I have no issues with it and I use it all the time. great service, product works as advertised. would purchase again. Excellent product I recommend buying this product. Works great!!! I had a cheapo cable which I used in my car before this. This one is a keeper, good length and the design feels very solid. This Aux cable works pretty great and the length is a plus. Love these aux cables. Best site to buy the best items at the best prices. Always a bargain with guarantees. 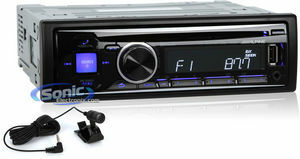 Good quality sound from it and a good price. 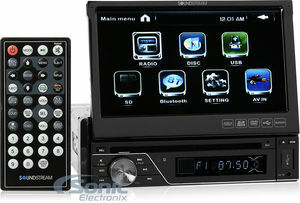 Easy way to connect an i-pod or smart phone to the car stereo, good quality. I purchased this item for use in my car. It's used to connect my IPOD shuffle to my aux control on my car stereo/radio. This cable is used to connect to the face of the stereo deck to the mp3/4 or iphone to play your music. Useful. Good product with satisfied service. Works good a lil hard to wire up but once you have it hook up your fine.. This cord worked well for a while, has great sound, but eventually stopped working. I had to jiggle it while it was connected to my phone, which is not good for either one. Although I couldn't use it anymore it worked great with my moms phone from a different provider and manufacturer. All in all a good cord just not good for the HTC evo. Aux cord was great, but didn't even last a half a year before breaking. The cord was easily kinked with at the connection of the aux tip, and no longer plays my music. 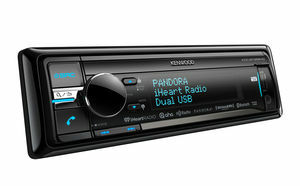 This is really handy for when people in the back seat want to go through your P3 player, and it connects to your head unit up front. Nice cord. Does what it's suppose to do. Recommended for those occasional road trips or whatever you may need this cable for. I recommend this product to anyone who is looking for a cheap Aux Cable for their car to iPod hook up. As I recall, they had real fast shipping and product was as advertised. I dont recomend it. The minute i took it out of the package it DIDNT WORK. Had trouble with it the whole time. Great cord..had it for six months and use it in my garage everyday to listen to my ipod...no problems with it at all! I bought it for my wife's cd player and she likes it so all and all it's good. This is a very good aux cord to use for your car stereo to ipod or whatever reason you may need it for. Still works good for me 6 months later. This adapter worked right out of the box. Would recommend to friends since price is great and quality is excellent. Better than I thought it was gonna be just as good as monster cable. The product worked fine for about 3 days, then sound was comIng from one speaker. I had to really fiddle around with it to get both speakers. It would have been nice to have, but unfortunately I had a defective product. i really like how thick and sturdy it is. Very good product with a great price. It works well, occasionally it will only let music play through one side of the speakers, which gets kind of annoying. It works great otherwise though. I would not encourage any one 2 purchase this product it has cheap ends and shorted out on me within 2 weeks after receiving it. It's really good I am actually thinking about buying another one. The aux cable isnt the best quality, but it gets the job done fine and you absolutely cant beat the price!! Cable works well for my mp3 to car stereo connection. Great deal for the very low cost. Helped connect my iPod to my head unit. Perfect! The product works fine but is only worth what you pay for it. i recommend getting something that is more durable. i bought two and each one only lasted about a month before the wire would have to constatntly be adjusted to get the full sound to go through it. The cable Did not last long -it got to the point where I had to twist the cable to make it play in both speakers. I took very good care of it too. It was very inexpensive though, but I honestly wouldn't mind paying more for a better cable. Works great! Didn't need a cable so long but for the price I am glad I did. Just what I was looking for. Works great! The item itself was really cheap so I did not expect much, but the cable seemed to have some troubles after about a month. Well the price was just below 2 dollars, so I can't really say much. It does still work, just once in a while at a certain place it glitches. Awesome product. Good communication and shipping. As promised! very good lone lasting and cheap. Great cable, I have two from this company and would recommend their products to everyone. They are priced right and are top quality..
Other cords I've bought before have been cheap. This one is durable and sturdy! Recommend buying this to anyone. 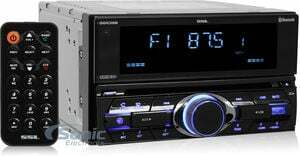 Good for aux port in car. not too short not too long. I've had it for over 4 months and it's still working well. Very durable. This is a great product to have. This cable is very useful. It doesn't last forever, but it's cheap so I can't complain. This thing was playing out of one speaker after a week. Try using a braided aux cable instead. I bought one after this one stoppd working and its still going strong. It's an aux cable. It works. There really isn't anything else that can or should be said about it. Works GREAT!!! Sounds AWESOME!!! Was cheap!!! Just what I needed. was easy to install. This item was just as described and works just as good as if you were to go to the store and buy one at regular retail price for the same thing! I saved time and money, Thanks! I just starting to have problems with the cable. I have to move the cable around to get a good connection. This works like it's supposed to. It's better than the one I bought off Ebay. Very happy. It is one of those cords that will make static when you get a text message. It is not very good quality either. It works good for what I got it for. The cable is long enough to hand aux to people in the back seats and it doesn't get in the way in the front of the car. It works fine and doesn't crackle at all, so it's a good cable. Does what it’s supposed to do. No humming on feed back noise. What can i say?? Its 6 foot long stretches all the way to the back and works! Works like a charm. Great price - and I was especially pleased with the longer length. The company was very easy to deal with and I would purchase from them again. First cable came broken but sonic electronics was quick to replace the cable. The second cable is better every once in awhile it cuts out, but it was only $5 so its not a big loss.